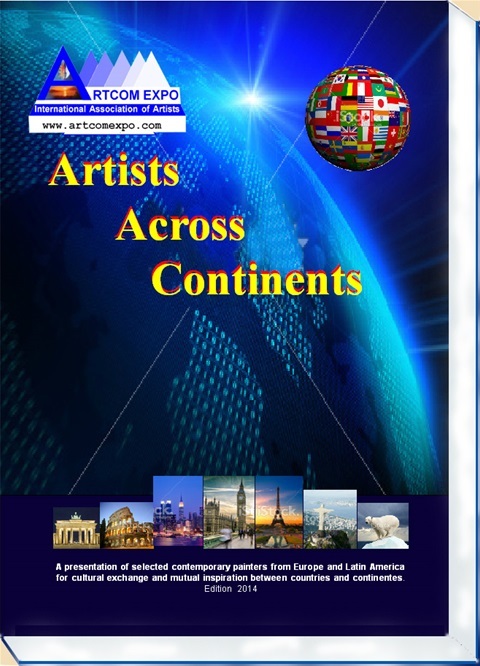 The first edition of "Artists Across Continents"
Dubay by Gracia Balfour.Mexicoby Patricia Molina. United States by Jaia Nascimento. Argentina by Claudia Belou. Sao Paulo, Brazil at the “TV Fama” Boituva, Rio de Janeiro, Dyandreia Portugal, presenter of the TV program “without borders”Editor of the magazine “Without Borders” Cultural Journal columnist “Point of View”. Fortaleza, Ceara, Brazil by Ana Felix Garjan, Ambassadeurs de la Paix Cercle University-France/Switzerland, Director of the Universidade Planetária do Futuro Cultural. Publisher of Artforum International Magazine-Planetary Brasilia, Brazil by Flavita Obbino-Representante and Coordendora the ACAV-Cadango Association of Artists. During the Brazilian Cultural week in Oslo the book was donated to some important persons who are working with the trade and industrial relations between Norway and Brazil. 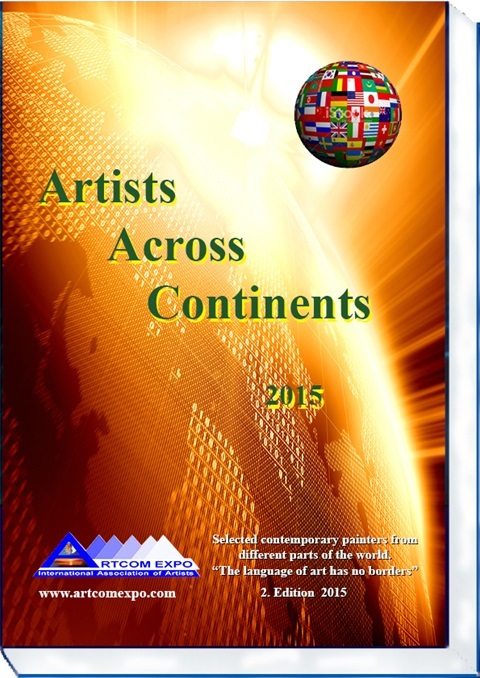 The work with donations and the launches of the book to the institutions and libraries, will continue into 2015 until the new 2015 Edition of “Artists Across Continents” will be released. Click the link below to download and open the book Artists Across Continents. It might take some minutes. Clique no loink abaixo. Pode demorar alguns minutos para abrir. The second edition of "Artists Across Continents"
The second edition of the book will be released in 2015, and members of the association will be invited to join the release with four of their artworks, photo and CV. This edition will be launched in the same places as the 2014 edition was launched, but in addition it will be launched in several other places and at other occasions. The number of visits at the website which has reached 200 000 in one year is still increasing as the association will be even more known worldwide. This will also make a big contribution to the promotion of the 2015 edition of the book and hence the artists The participants in this edition will thus also be promoted in larger scale. Artists which still are not members of the association will be invited present their artworks to join us, and then have the opportunity to participate in books and exhibitions in 2015.